Long story short: Tim Tebow, in town for a workout, had parked his car next to DW’s. In the dark lot, Tebow’s party mistook the two black luxury autos. Waltrip’s car door was unlocked, and with a push-button starter it was easy to crank up and drive away. When Waltrip reported the “theft,” an embarrassed airport employee immediately realized what had happened and contacted Tebow. Waltrip got his SUV back the next day, but not before being tempted to play a joke on Tebow. Waltrip’s wife Stevie talked him out of the prank. 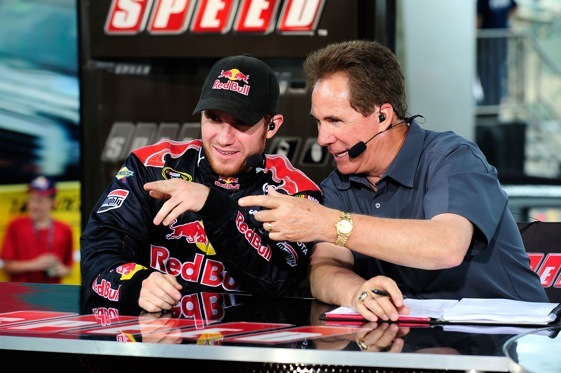 The story had a happier ending than one that Waltrip experienced several years ago. His crew had parked his familiar No. 88 Gatorade Chevy in front of a local motel where they were staying following a Grand National race at Fairgrounds Speedway. The next morning it was gone. A local radio DJ had some fun with it, advising the cops to broadcast, “Car 88, where are you?” – a spin-off of the old “Car 54 Where Are You?” TV show. Darrell didn’t find it amusing. His race car was never recovered. Harry Gant was the victim of a similar theft following a race at the Fairgrounds. His entire racing rig – car, hauler and tools – was stolen from a motel parking lot. Unfortunately for Gant, his missing car – unlike Waltrip’s most recent episode – wasn’t just a case of mistaken auto identity. what #88 did they seal? what year?